Meet Jama Yasin, he used to live in Oog, a small town in Sool region (located East of Burco) together with his family. Due to severe drought during 2017, a mayor part of the household’s livestock perished, compromising his livelihood and forcing him to migrate to the coast, with the aim of finding new livelihood opportunities. 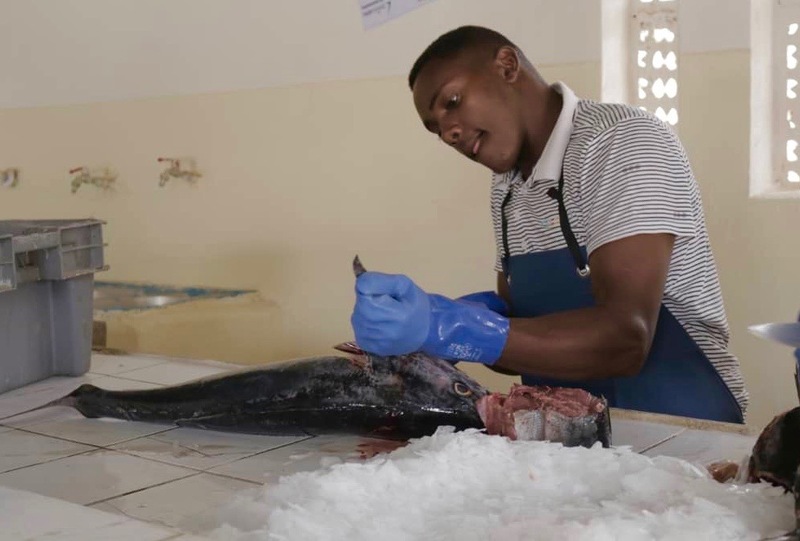 In January 2018, Jama participated in the fishery technical training at sea, and it provided him with a wide range of new skills that opened up new job possibilities and diversifying his household’s livelihood strategies. As a matter of fact, Jama is currently, October 2018, working on a small fishing boat owned by a businessman that operates in Berbera. He started working as a fisher, but he got promoted and is now the Skipper with a crew of three fishers on his command. Normally they go fishing for three to four days per trip and mainly use drift nets, one of the fishing techniques learned during the training. On a trip like this they often catch approximately 1 tone that is directly sold in the harbour to distributers or mongers. The fishing trip therefore generates an approx. income of 1000 USD that is divided between the four members of the crew and the ship-owner. Jama expressed his gratitude to FairFishing since the training at sea in Berbera provided him with useful skills, enabling him with the opportunity to get a job and income. 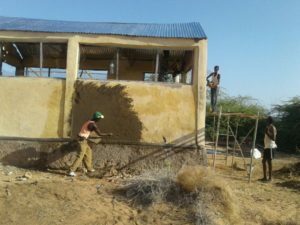 At the same time, he diversified his livelihood strategies and now his entire household is more resilient to external threats as the drought that forced him to leave his home town. Jama looks at the future with an optimistic view, and he wants to keep develop his skills and continue in the fishing business. “I want to be the owner of a small boat and become a successful businessman in the future”, he told FairFishing staff in Berbera, September 2018. 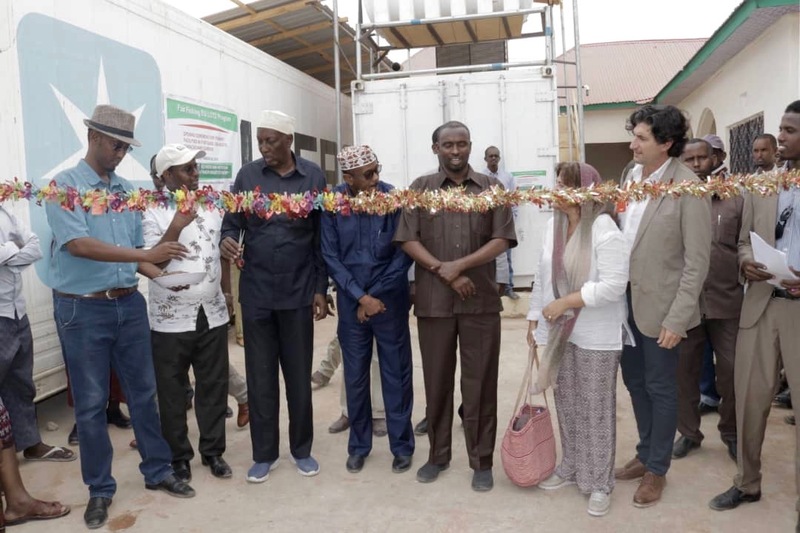 On the 25th of September 2018, a new fish market was opened in Galkayo, Puntland, with participation of local and national authorities, an EU delegation and the local community. The opening in Galkayo is the official launch of all three facilities opening in Puntland, where a market in Qardho and a station in Garacaad will open within the coming weeks. To open three new fishery facilities in Puntland is a great milestone in the program “Income, livelihood and nutrition through a fishery-based economy at the Horn of Africa”, funded by the EU and implemented by FairFishing in partnership with Ministry of Fisheries Puntland. Galkayo is a town with high potential for an increasing consumption of fish. Therefore, a fish market was constructed by the local contractor Baca Construction and equipped with ice production, cold storage and market stands. At east from Galkayo at Puntland’s coast, a fishery station has been established in the fishery village Garacaad. The fishery activity has been low in Garacaad the last years due to lack of sufficient infrastructure, and this is something FairFishing and the EU aim to improve with the new station that will provide the community with affordable ice, cold storage, fishing gear and a reefer truck that can transport fish to markets such as Galkayo. The last fishery facility opening in Puntland is a market in Qardho. Here, a compound with building has been rehabilitated to become a fish market where the local fishmongers and the community can purchase ice, store fish cold, as well as sell and purchase fish. By strengthening the whole fishery value chain from the coastal station in Garacaad to the two in-land markets in Qardho and Galkayo, the project aims to create job and income opportunities along the fishery value chain, as well as improve access to nutritious food among local populations. News from the Buluhar Fishing Unit! This year has been busy in Buluhar, where reconstruction of an upcoming fishery unit has been underway in spring. The construction works have just been finished, and the unit has got its own source of electricity from the newly-installed solar panels. FairFishing together with local energy entrepreneur installed a 6KW solar panels with storage batteries system to power the fish storage facilities with renewable energy. 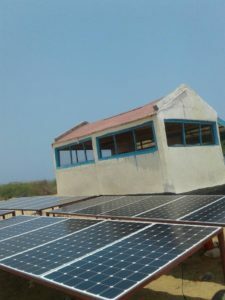 The fishery Unit after the installation of solar panels, April 2018. This is the first time FairFishing has installed solar panels in our stations, and we hope to incorporate this approach in our further activities. 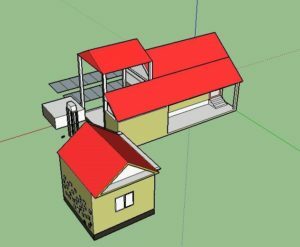 It will be financially beneficial due to the extremely high electricity prices in the region, as well as to avoid price fluctuations and possible electricity shortages, which can damage the ongoing small business activities, not to mention the abundance of sun as a great way to provide a sustainable and clean energy! The new facility provides cooling facilities to ensure further development and opportunities for the local fishers to improve their chances of earning more from a better access of ice for their catch. If the activity will be high enough, the unit will de developed to provide more options for the fishers, such as acquiring machinery for ice production. 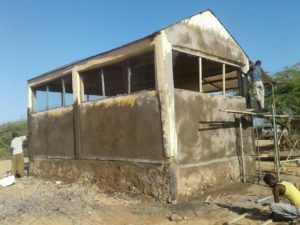 Construction work in Buluhar Fishery Unit in April 2018.
https://fairfishing.org/wp-content/uploads/Fresh_Fish_By_FairFishing.png 0 0 Annija B https://fairfishing.org/wp-content/uploads/Fresh_Fish_By_FairFishing.png Annija B2018-05-02 11:00:302018-05-02 11:00:30Powered with solar energy! Interview with Abdi Fatah Mohamed Hasan, a participant in the first technical training at sea program in Berbera 2017/2018. Abdi is 23 years old and lives in Berbera, where he is also born and has grown up. None of his parents has been working in fishery sector before, but some of his friends do. 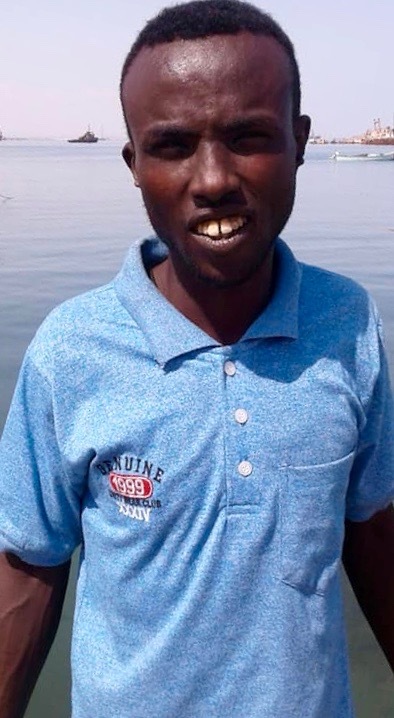 He was contacted by FairFishing LOT2 Fishery Expert Jama, who asked if he wanted to attend the new fishery training program that FairFishing was starting up in December 2017, and he was happy to agree. Abdi explained that they had started the training program with one week on land, where they learned many different things that was important for the fishery, and it had all been new completely new to him. He had learned to swim, how to do first aid, different fish species and with what gear to catch them, as well as how to behave on a boat and, how to navigate it. Reflecting back on what he had earned at sea, there were two things he would have liked to train and earn more about: Firstly, hygiene and fish handling and processing, and secondly, more technical training with different equipment at sea. Abdi was completely new to fishery, before he attended the FairFishing training program. All components in the training had been new. Now, he states that he is very excited to continue in the fishery and would like to be a trainer himself one day. He feels that he is ready to go to sea and work now, even if there are things he can learn better and train more. Actually, he will start work with one of FairFishing’s partners now, called, Nec Fish. For the future he would like to be a captain, have his own business with several boats. 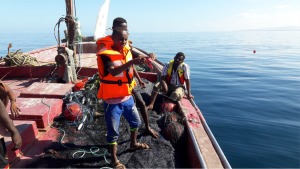 For the future work in the fishery sector, Abdi asked if there would be any further programs with more specified training that he could participate in, and if there was any possibility to get support with boats or business management from FairFishing. He mentioned that all participants enjoyed the program and wanted to continue in the fishery, but they still needed some support to create their own businesses. To conclude the interview and his general experience of the training program, Abdi said that he had started out being afraid of the sea, but now he knows, how to swim very well and will even go swimming for fun sometimes. 2017 has been a year of intensive work for the FairFishing team along the Horn of Africa. We have not only continued and improved the work and results at the Berbera Centre of Excellency, but also worked to expand the opportunities for fishers to develop businesses and sell their fish in at markets along the Horn of Africa! 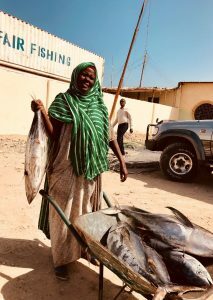 The FairFishing Station in Berbera has continued to provide the local fishery with its services and thereby contributed to a regional fish value chain and its growth. It has become the center of all our activities, providing the added value of knowledge sharing. 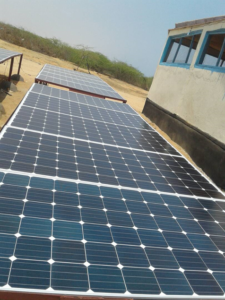 The Berbera station, including the PSU shop, has been locally managed by 10 employees and has been financially self-sufficient the whole year! Close to 900 tons of fish was registered at the FairFishing station throughout 2017, before transportation to regional markets (this is almost twice the amount of 2016). Sales of the 900 tons fish to market price at local and regional markets has generated a turnover reaching approx. 4.000.000 USD. These results have not only generated income- and job opportunities along the whole fishery value chain, but also improved food security through providing options for more varied nutrition to regions suffering from devastating droughts in the last year. The preparation and construction of several new stations and markets at the Horn of Africa have started – and in one case of Saylac finished, as reported earlier in the year. Four new stations of different size and capacity are underway along the coast, as well as four in-land markets. If the program implementation continues at the same speed as during 2017, two markets in Burco and Galkayo will be opened in Spring 2018. This chapter of the project will contribute to a market chain creation, where different actors can participate and ensure their family income. FairFishing will focus on including the most vulnerable individuals and continue to focus on the sustainability and continuation of our work. A part of FairFishing’s new initiatives is starting technical training at sea for the new and aspiring fishers, which has started at the end of 2017, and will continue on a regular basis throughout 2018. The training includes both theoretical and practical aspects of knowledge of kinds of fish, techniques, as well as hygiene principles and security procedures when at sea. The beginning of 2018 shows that it is more important than ever to continue support the fishery sector in Somaliland and Puntland. The climate forecasts predict even more severe weather and thus difficulties for the important livestock sector. Food security and starvation continues to be a major challenge in several locations in the region, and the creation of job opportunities through a developing fishery sector will provide safety nets for the local people. FairFishing will continue implementation of the EU funded program in 2018, and throughout the year, focus will shift from construction and physical infrastructure to training, management and local ownership to ensure long term sustainable operations of the stations and markets established. Follow our daily work in our Facebook page https://www.facebook.com/fairfishing.org/ and donate to our cause here! We hope you want to be a part of the journey!